Unlike the iPhone, previous iPods lacked audio input on their headphone jack. The iPhone uses four conductors on its headphone jack: ground, stereo right, stereo left, and mic. This allows the iPhone to work with its headphones sporting an integrated mic (which doubles as a signal for track skipping). On other iPods, the iPhone's headphones only function as regular headphones, with no working mic because the iPods lack a mic input connector on the headphone jack. Prior to the iPhone, iPods used the fourth connector to export composite video via the iPod video output cables. This means all earlier models of iPods, including last year's 3G Nano, classic, and touch, will not work with headphone jack-based audio input. All video-capable iPods support video output via the dock connector, as well as audio input, a feature taken advantage of by some third party voice recording devices using an external mic that attaches to the dock connector. 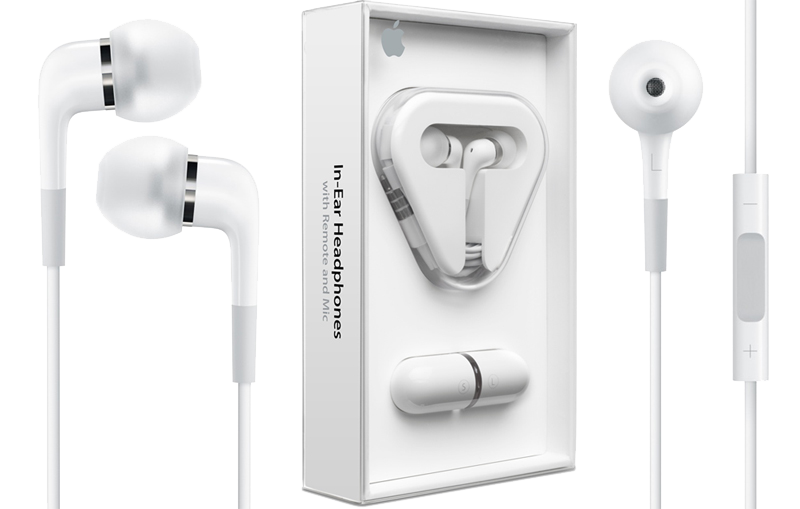 However, the latest crop of iPods now support the iPhone's headphones with integrated mic, allowing them to record audio without any bulky attachments. This should also potentially unlock other applications on the iPod touch, including WiFi VoIP for making audio calls over the Internet. Apple earlier said it would allow App Store programs to enable VoIP over WiFi, but not over the iPhone's EDGE or 3G service. Apple also unveiled a new audio input option. In addition to the standard $29 pair of headphones with a mic like those that ship with the iPhone, there's now a premium $79 pair with independent woofer and tweeter drivers. Comparable dual driver headphones usually sell for $200 to $300, according to the company. The new premium headphones sport volume controls, presumably using the same mic signal to adjust volume as the iPhone's mic uses to switch songs or accept incoming calls. The new headphones are not listed as compatible with the iPhone, because it was not designed to adjust volume with the mic switch; the mic should still work and the headphones will work with any iPod or other standard headphone jack device.